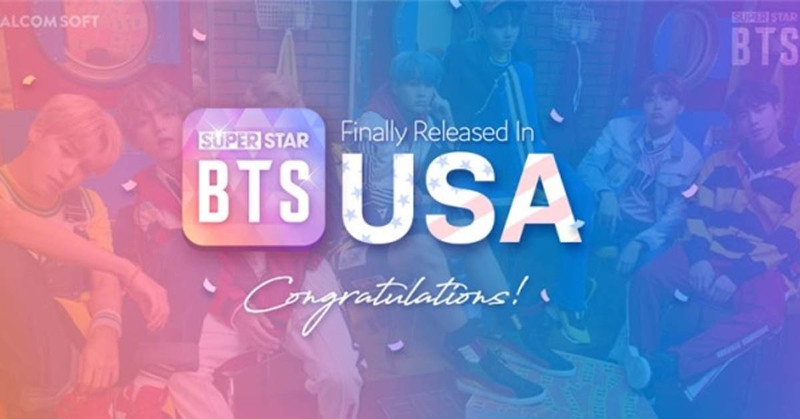 BE READY: Mobile Game ‘SuperStar BTS’ Coming to the U.S.
BTS' official mobile game ‘SuperStar BTS’ is going to be available on Google Play and App Store U.S. starting March 29. SuperStar BTS is a rhythmic game that was first launched in South Korea, Vietnam, The Philippines, Malaysia, and Thailand on January 18. It topped the mobile games popularity chart everywhere. It enjoyed a wide popularity among Indonesian users, in particular, reaching over 50M downloads in less than two months. The game's launch in the U.S. market attests to the band's stateside popularity. It's anticipated that it would appeal to a wide range of users in the American market. There will be a number of special features available to the new users in the U.S.
"This is only the beginning. We are going to expand our service to other regions around the world," said Kim Hyun-gul, the CEO of DALCOM SOFT, the software developing company that is responsible for SuperStar BTS' production.